Omni Strike pulley design offers two bag height settings. 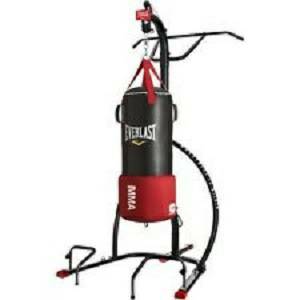 Allows one person to attach or de-attach the heavy bag, so you can do both heavy bag workout and ground & pound. 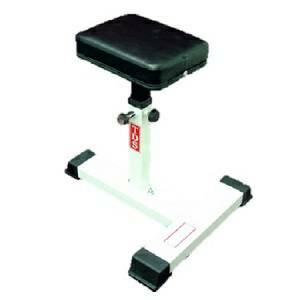 Heavy Duty powder coated steel tubing combined with 3 weight plates for maximum stability and durability. Easy to assemble and use. Will accommodate heavy bags up to 100 lbs. Bag sold separately. OmniStrike pulley design offers two bag height settings allowing the user to do a heavy bag workout and ground and pound.